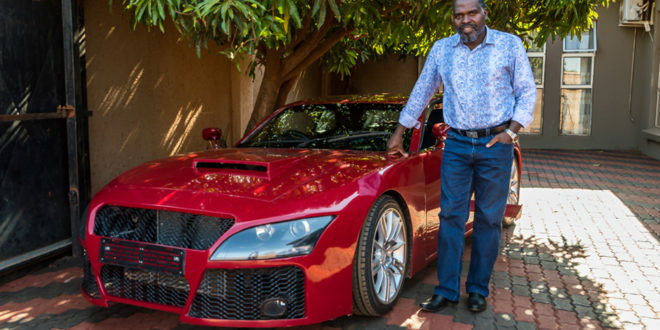 Moses Ngobeni, an electrical engineer from South Africa, has always dreamed of owning a sports car. So he decided to take matters into his own hands and build them with his hand. He built his car completely without the help of the appropriate tools or equipment. He used a ordinary pole bender and even his bare hands to make pieces of metal in shape to build a body and chassis frame. 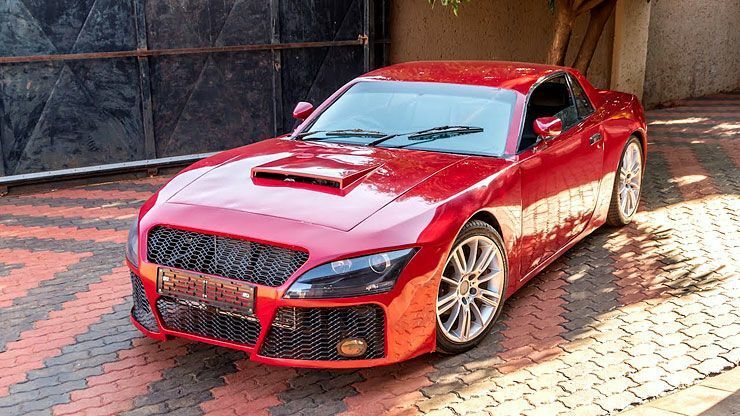 The headlights are from the Audi TT coup, for the rear end he used used 2015 Nissan GTR Skyline lights. The windows were purchased from a range of cars including a Mazda 323 from the mid-80s. 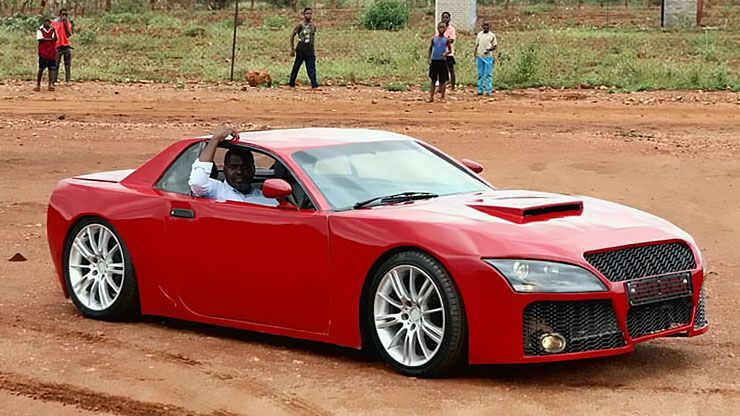 Under a hood is built a 2-liter engine from the 1998 BMW 318i model and can reach a maximum speed of 155 km / h. It is also equipped with 18-inch tyres and airbags. 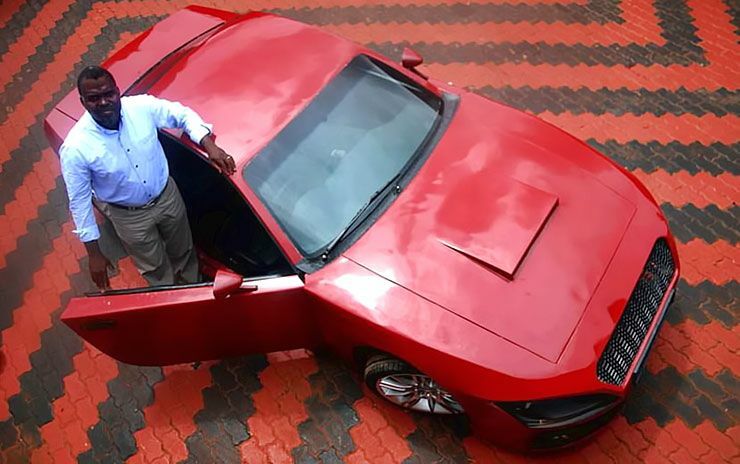 Despite the low-tech build, the car has a range of high-tech gadgets including an inbuilt computer system and an keyless system that allows him to star the car from the phone. Building of the car cost Moses about $ 12,500. Moses, we salute you. You are truly legendary car lovers!